Dimensions (W x H x D): TV without stand: 48.7" x 30.2" x 2.2", TV with stand: 48.7" x 30.2" x 6.9"
Size: 55-Inch | Style: TV Stop Watching. Start Seeing. 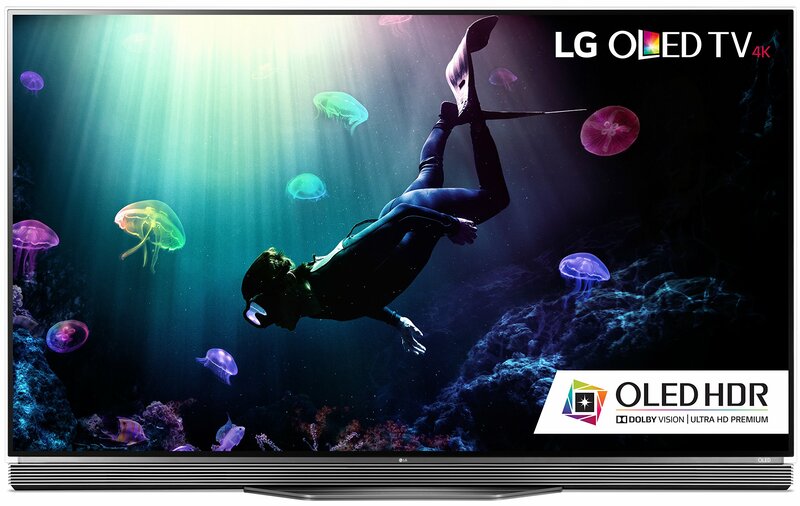 With perfect black and intense color enhanced byboth standard and Dolby Vision HDR, LG OLED brings you a world of beautywithout compromise. The individually illuminating OLED pixels can brighten, dim and power offfully to achieve perfect black. That means contrast - the ratio between thelightest and darkest areas of the screen--is truly infinite. Perfect black isessential to a more lifelike image as well as the great shadow detail you canonly get with OLED. LG OLED TVs display a color palette that virtually matches the vast range ofhues seen in today's high-end digital cinemas. With over a billion rich colorsat its disposal, LG OLED TV delivers a theater-quality experience at home. OLED HDR delivers a stunning high dynamic range picture, including support forDolby Vision content. Enjoy brilliant brights and the deepest darks forinfinite contrast, rich color and an exceptional viewing experience, closer towhat filmmakers intended. With their perfect black and cinematic color, LGOLED TVs have also earned prestigious Ultra HD Premium certification. Dolby, Dolby Vision, and the double-D symbol are trademarks of DolbyLaboratories.